Apart from TBB File to MSG, the software converts TBB files in more than seven file formats. Create New Collection: To create the latest collection. Open Recent Collection: To open the previous collection. Single File Mode: Add only one single file at once. Bulk Mode: Select multiple data files at a time. Find Option: This option allows to choose the suitable email file type. Then, Click on Search button. With an email count, the software starts to scan the desired file. After scanning of TBB file successfully, the recursive list of all the scanned files will be displayed. 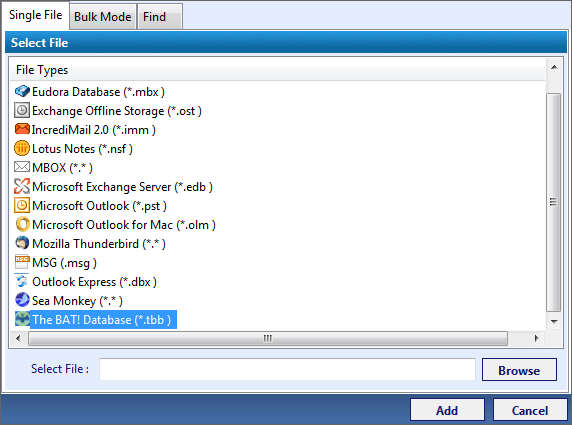 Select the individual files that need to be exported from TBB mailbox to MSG file. For converting bulk .tbb to .msg file click the Export option from a navigation bar. Now, Select MSG as the destination file from the seven different file format by default. Choose the features that are needed such as removing duplicates, and maintaining the hierarchy of the TBB file. Browse the location of the exported MSG data items and click the OK button. I am working in an organization and deals with maintaining the public records as well as emails of many organizations for discovery. Even the entire business detail depends on the Web. Therefore, we have decided to maintain the backup copy of crucial data in the specific file format that could be easily opened from a text editor. The total amount of data for taking the backup is 20GB with attachments. The solution having multiple features would be given more preference. TBB to MSG software is the best solution available in the online market. It can freely convert up to 20GB of backup data along with attachments. This solution has many more reliable and efficient features must be given more preference over any other industry products. Does the software have a feature to apply email based filter option during the conversion? Will the software offer date based filter to sort all emails according to the desired date? Can the powerful search feature of the software perform the search within the message body too? Will software maintain the folder structure? Does the software create the summary report after completion of the entire process? The complexity to resolve simple tasks has become more complicated with the advancement of technology. For making the task simple and easy one can go for an alternative solution. Although, multiple issues and errors are encountered when users trying to take a copy of backup from one file to another default format. Some application may recognize the data while showing some error. The similar issue may occur when TBB mailbox has not been backed up properly. In such case, a user may lose the data. One such simple way to regain the data with the help of an automated tool named as TBB to MSG converter. This tool contains all the brilliant features so that users can easily extract the data from TBB file and export it into MSG format. It can easily convert the bulk .tbb emails to MSG type associated with attachments. It also maintains the integrity before and after the data conversion. 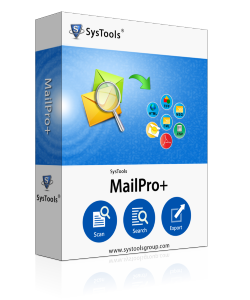 It provides a unique feature through which user can sort their emails according to the date and other attributes as well. Can the software retain all attachments while converting TBB files to MSG format? Yes, the software can maintain all the attachments after converting the emails from TBB file to MSG format. Can I save the exported MSG files during the conversion? Yes, Of course, you can preserve the exported MSG emails in any preferred location on the computer system. How many files can I export by using this TBB file to MSG conversion tool? You can easily convert an unlimited amount of .tbb emails during one conversion process. The software can migrate .tbb files in bulk. Is there possible can I search the particular mail received from the specific person? Yes, the TBB file to MSG software is designed in such a way that provides the custom search feature. It enables the user to search emails based on the sender, particular keyword etc. Even during a bulk conversion date-based filtering can also be carried out. I am very grateful with TBB to MSG conversion tool. Also, this application is equipped with such an attractive features including naming convention, search option, and so on. I must say that this software is helpful for the decent group of people for understanding the results. Thanks for making a wonderful conversion tool. It is really a professional and trustworthy approach towards TBB files to MSG conversion. A great understanding and enforcement of client’s objective and requirements though the conversion tool. Excellent work guys!